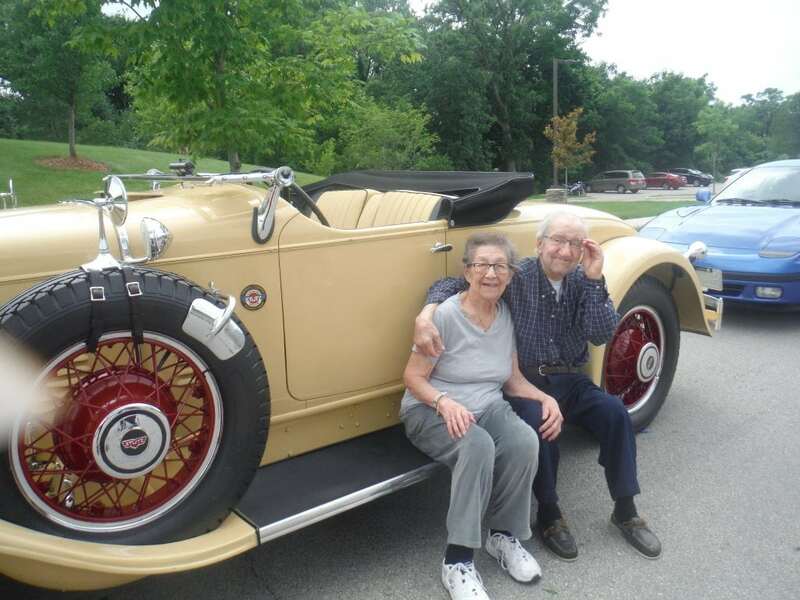 Brandon Butler has always loved cars, especially his neighbor’s 1930 Model A automobile. 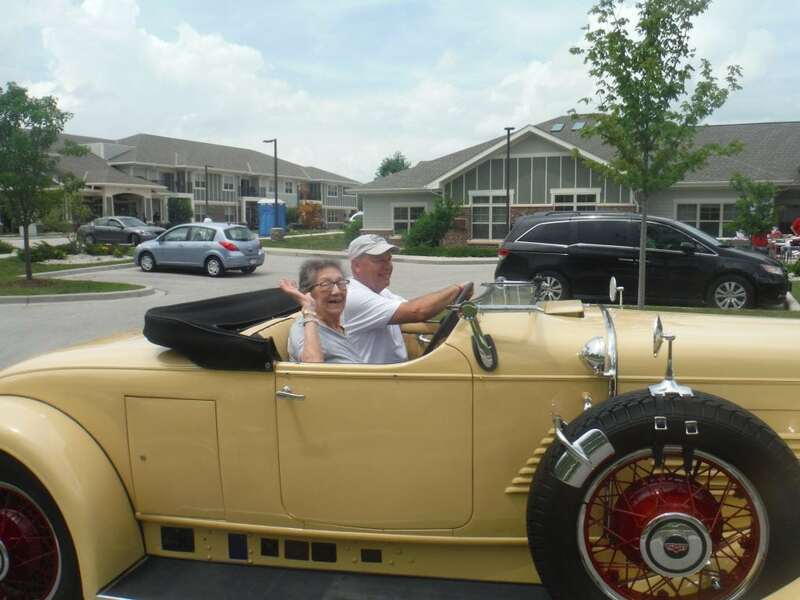 The neighbor, Ken Hollub, was a car enthusiast and celebrated high school football coach. Hollub bought the Model A from one of his students in the 1960’s for $50. The car went everywhere with him, even in winter! 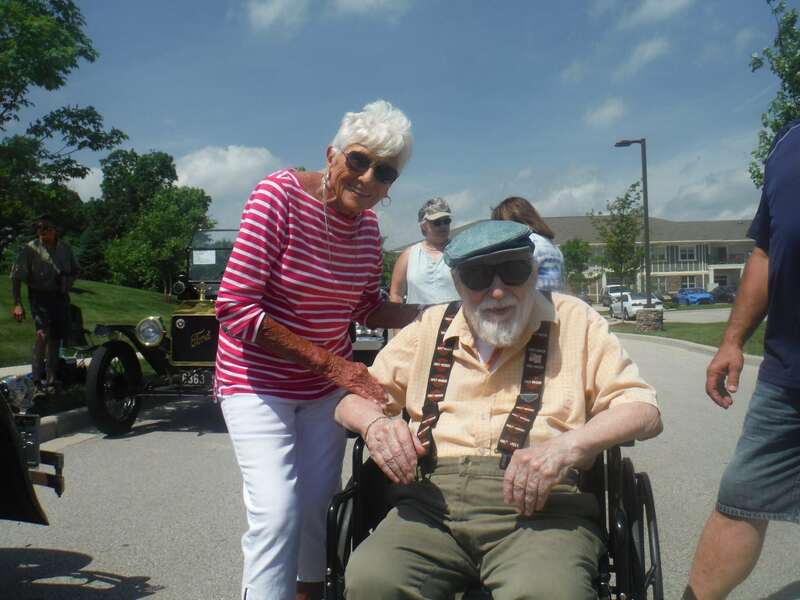 Later in life, Ken developed Alzheimer’s disease and moved to Heritage Senior Living’s memory care community in Waukesha. 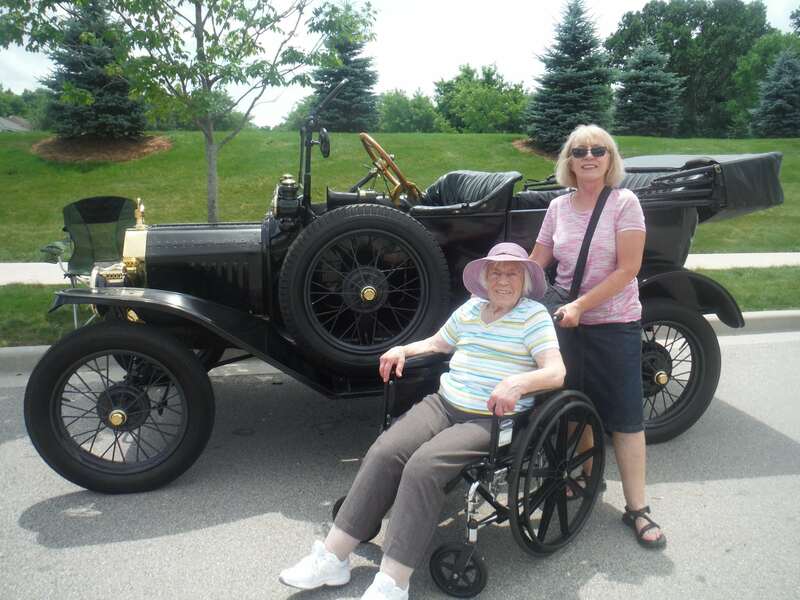 His wife, Earline, decided to sell the Model A and she wanted the car to go to a good home and to someone who would keep it in its original condition. 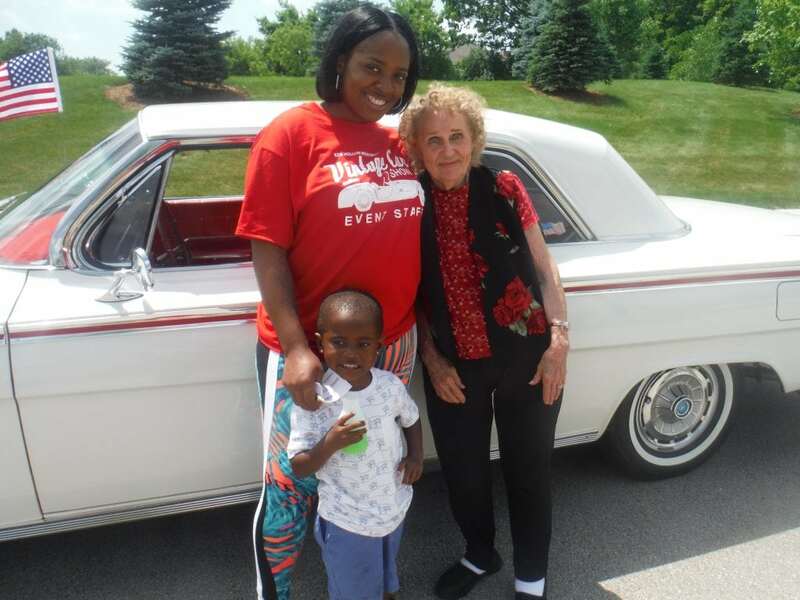 Brandon’s parents purchased the vintage car and surprised him with it, even though he was just 13 at the time. Brandon attended Waukesha South High School, where Ken was a teacher and the football coach from 1955 to 1976. As coach, his team went six seasons straight without losing a single game! (One of his players even went on to play for the Green Bay Packers.) He was so beloved by the school that they named the football stadium after him. In 2015, Brandon drove to Heritage Senior Living and picked up Ken. 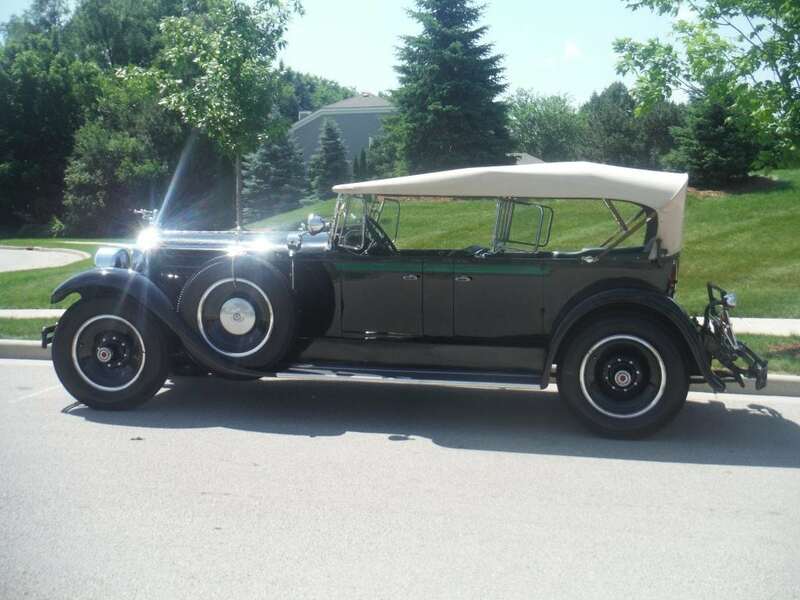 They went for a cruise in the Model A. “I’ll never forget it. 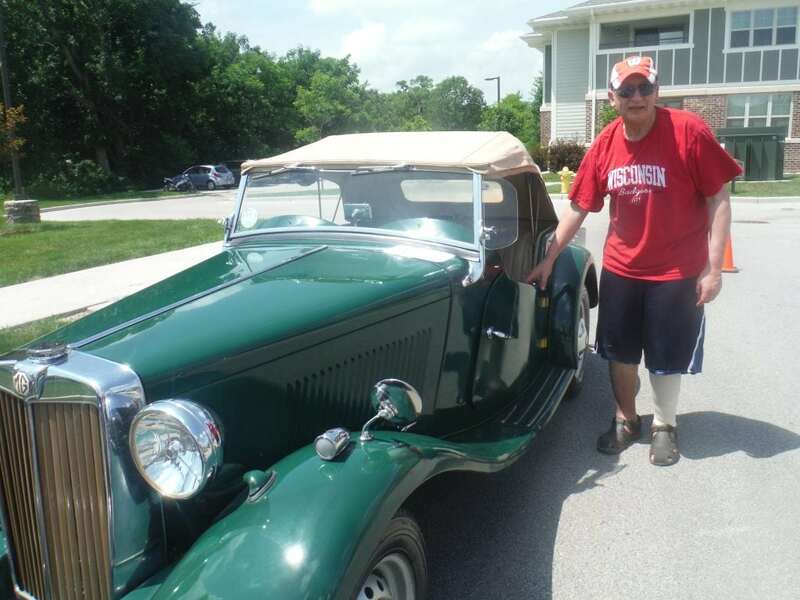 Ken was wheeled out the door in a wheelchair but when he saw the car he confidently got out of the chair and walked unassisted to the Model A and got in,” says Brandon. Unfortunately, Ken passed away in March of 2016. 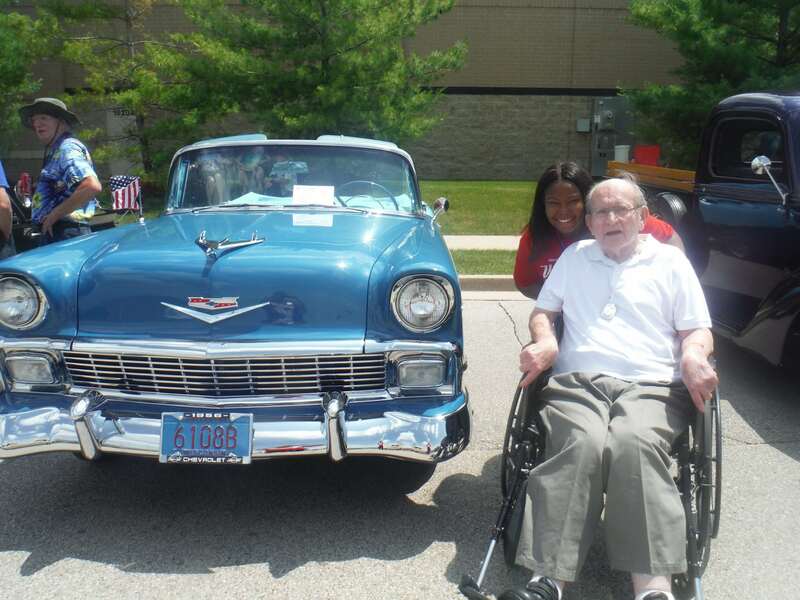 Brandon wanted to honor his legacy and so he started the Ken Hollub Vintage Car Show to recognize Ken and raise money for a good cause. 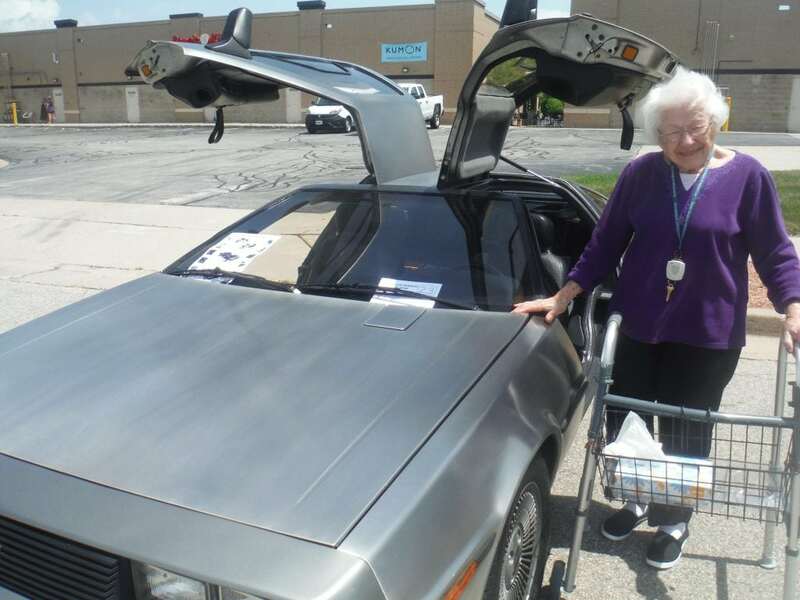 In 2016, Heritage Senior Living brought in 30 stock antique and classic cars and raised $700 for the Alzheimer’s Association. In 2017, the second show raised over $1,000 for the Alzheimer’s Association – despite having only 12 cars due to inclement weather. 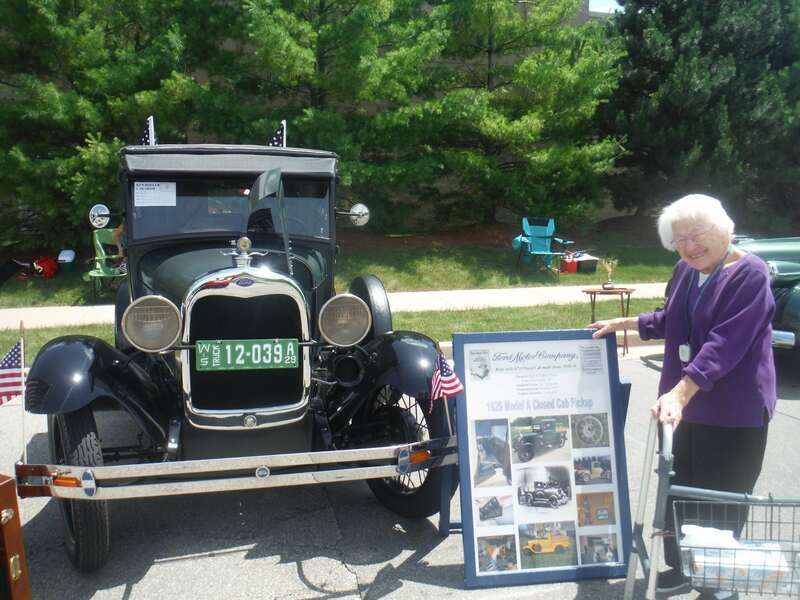 This year, the show was held on Sunday, July 1 – with an amazing turnout. 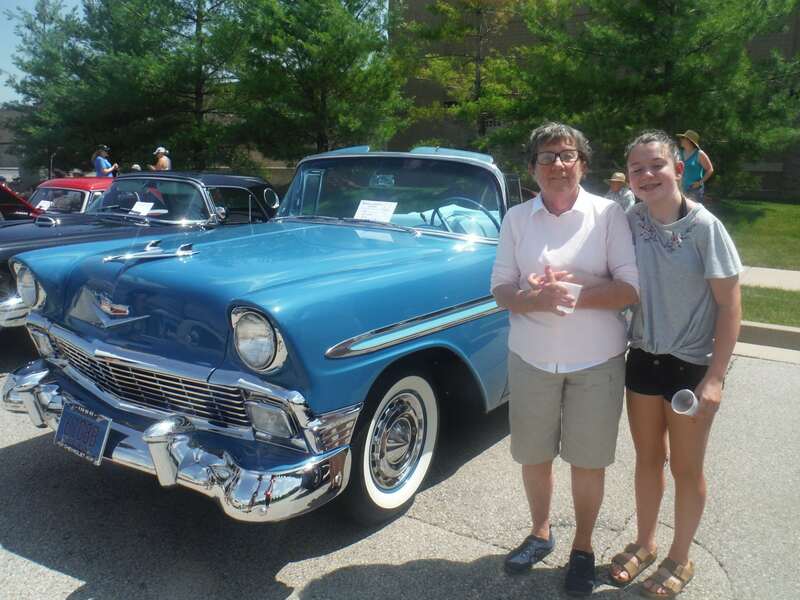 With over 94 cars on-site, Heritage Waukesha managed to raise almost $2,000 for the Alzheimer’s Association. “It’s such a great cause for a great man,” says Brandon. 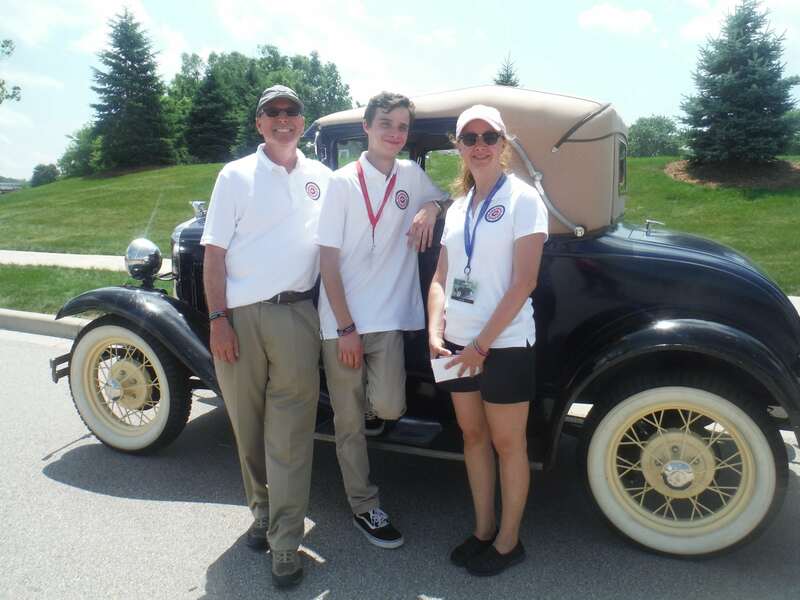 Heritage Waukesha is already planning next year’s event!